Coincap Widget plugin allow you to easily create live cryptocurrency shortcode and show up anywhere on your site. It can be show up on top header, footer, sidebar or widget. 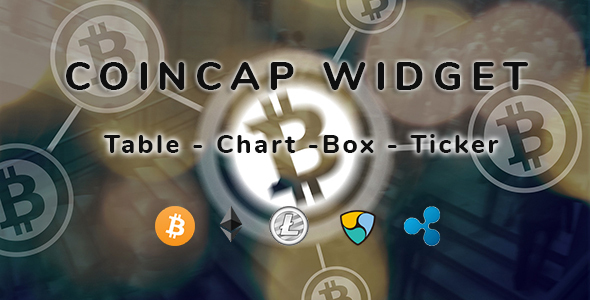 Coincap Widget plugin can be easily configured through the native WordPress admin interface and added to a page,post or widget by copy and paste the shortcode. You don’t need have teachnical skill or knowledge about HTML or PHP code.